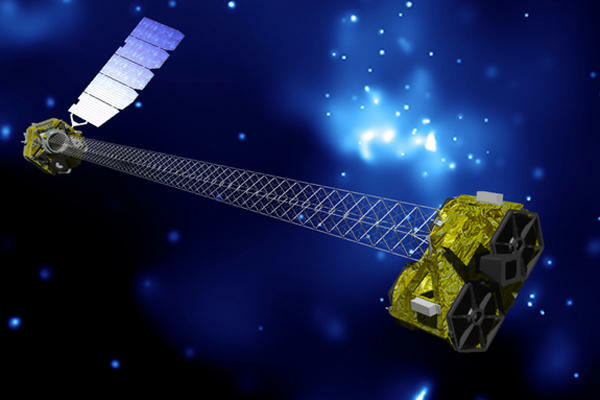 NASA launches NuSTAR "An X-ray Telescope to find Black holes in the space"
NASA started its two year mission of finding black holes and other hardly detectable energetic celestial objects in the space. For this mission, NASA designed an X-Ray telescope. Talking about the mission, NASA claimed that they will be able to see the things, never seen before. Project scientist for Nuclear Spectroscopic Telescope Array( NuSTAR) said, "We are going to open up the high-energy window on the universe". He also said,"It's going to teach us a lot about the universe, from what heats the atmosphere of the sun to understanding black holes." This High energy X-rays telescope has been boosted in to the space, boarding on an Orbital Sciences Pegasus rocket(only rocket that launches from the plane) on 13th June, 2012 from Reagan Test Site, Kwajalein Atoll in the Pacific Ocean. Only Kwajalein Atoll is chosen for the launch because of it is situated very close to the equator. Talking about Kwajalein, Omar Baez, launch director for NASA's Launch Services Program said, "It's a very tight community there in Kwajalein". He also siad, "These folks are basically 3,000 miles removed from any conventional civilization. But it's also in the south Pacific, so it's a very nice place to be. I it's as close to what you'd imagine an island in the Pacific is." NuSTAR is very small in size and weighs around 775 lbs. This High Energy Telescope, NuSTAR did not leave Earth orbit for exploration, It is attached to this winged Pegasus rocket in an orbit close to the equator and uses solar system for power consumption. After a week in the space, it will expand to a span of 33 foot and focus on the X rays, the spacecraft sees, with the sensors fixed on the ends. For launching this telescope NASA used air launch from a carrier aircraft(Stargazer) instead of launching from the Launch Pad, Because it is costly to launch from the launch pad than the Air launch. The mission cost is approximated to about $170 million. For this mission the whole team of NASA's Chandra and Fermi missions are teamed up with some great officials, for observing the cosmetic objects and finding other energies in the universe. As per the discussions it is confirmed that this mission of NASA, is going to get some hot information, hope they find what they find.